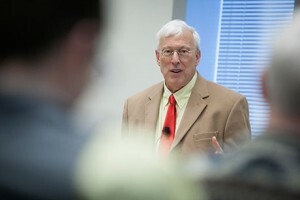 Years in graduate school, teaching and research do little to prepare professors for administrative posts. Now, a compendium of advice for new faculty administrators, written by experienced academic leaders across the country, aims to fill the void. 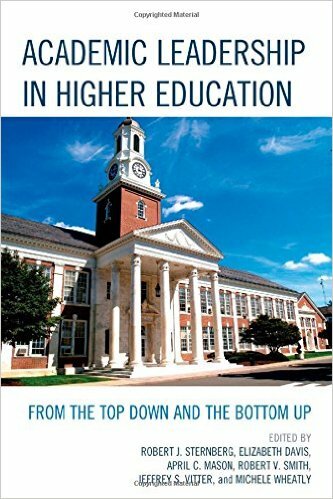 “Academic Leadership in Higher Education: From the Top Down and the Bottom Up” offers readers a view of leadership from many different perspectives and levels within the university. While the book is written for faculty members who are in, or are thinking of entering, academic-leadership roles, it offers insights into leadership and academia that may appeal to many other readers. 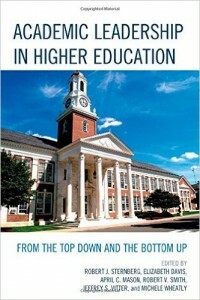 Sternberg co-edited the volume with Elizabeth Davis, president of Furman University; April C. Mason, provost and senior vice president of Kansas State University; Robert V. Smith, vice president of Collaborative Brain Trust University Consulting; Jeffrey S. Vitter, provost and executive vice chancellor at the University of Kansas; and Michele Wheatly, former provost and vice president for academic affairs at West Virginia University. Posted in Features and tagged education, leadership on January 8, 2015 by Allison M. Hermann, Ph.D..